Neons and Holos and Pastels – Oh My! This March, KBShimmer introduces its Spring 2016 Collection – a lineup that’s sure to have you walkin’ on sunshine... with a touch of 90’s nostalgia! From eye-catching holographics to pastels and neon glitter toppers, there’s something for everyone in this collection of happy, seasonally inspired polishes! Prints Charming: Like an abstract painting, this white crelly polish has pops of colors in fuchsia, turquoise, and sapphire. 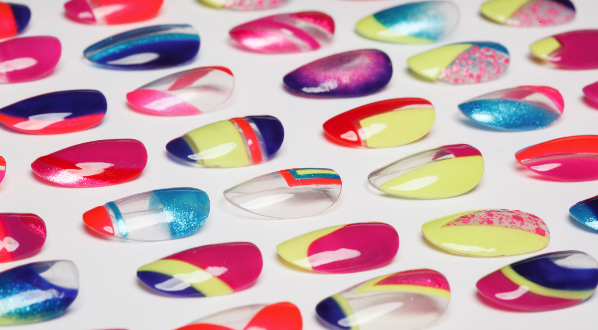 Layering in 3 coats gives this polish the depth and dimension of quality art work! Peony Pincher: A pastel pink with lavender undertones, this floral linear holographic polish shines best in bright lights. Hello Dahlia: A dusty peach shade, this shimmery orange crelly sparkles with micro holo dust and golden micro flakes. Based on the Pantone 2016 Spring/Summer shade Peach Echo. Upside Round: If you’re a good 90’s child, neon makes your heart flutter! This glitter top coat can add a punch of color to your nails with neon circle glitters in a rainbow of bright shades. 1 coat of your favorite white is 90’s perfection! Pools Paradise: A lightened, green leaning aqua that offers pops of neon pink, periwinkle, and aqua glitters. 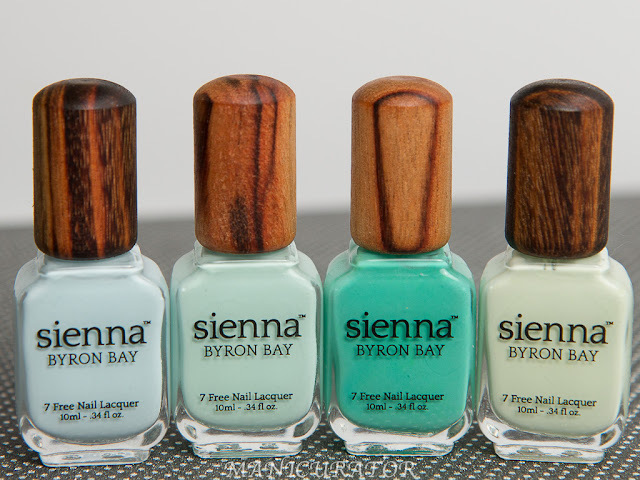 Based on the Pantone 2016 Spring/Summer shade Serenity. I Wet My Plants: This pastel periwinkle crelly features a garden full of colorful glitters in pink, sapphire, silver, and purple. Based on the Pantone 2016 Spring/Summer shade Serenity. Purr-fectly Paw-some: A pastel moody blue linear holographic polish with steel gray and lavender undertones. A relaxing twist on a traditional periwinkle shade. Based on the Pantone 2016 Spring/Summer shade Serenity. Joining fan favorites, Alloy Matey, I Feel Gourd-geous, and Sun and Games, is the Mega Flame Collection! Launching March 15, the lineup features 7 new holo shades with micro holographic glitters in tinted bases. These mega holo shades offer full coverage in 2 coats and can be worn without a top coat for a fun, smooth textured finish, or worn with KBShimmer’s quick-dry top coat, Clearly On Top for an ultra-holographic shine! Ripe For The Pink-ing: A raspberry pink, this mega holo shade is the ideal berry color with blue undertones. So Flamous: A copper leaning peach, this muted orange shade’s strong holo flame will have you longing for spring. Stalk Market: This near celery green yellow is fresh and vibrant for spring. Smells Like Green Spirit: A twisted citrus green, this deep lime shade is a refreshing pop of color for warmer weather. Set In Ocean: Crystal clear waters of the Caribbean inspired this sparkling deep aqua color. Things That Make You Go Bloom: A lilac purple, this pastel polish packs a punch of holo shine. Night Bright: Like a clear country night, Night Bright sparkles like a billion stars in the sky. Only this night sky is best viewed in the light. 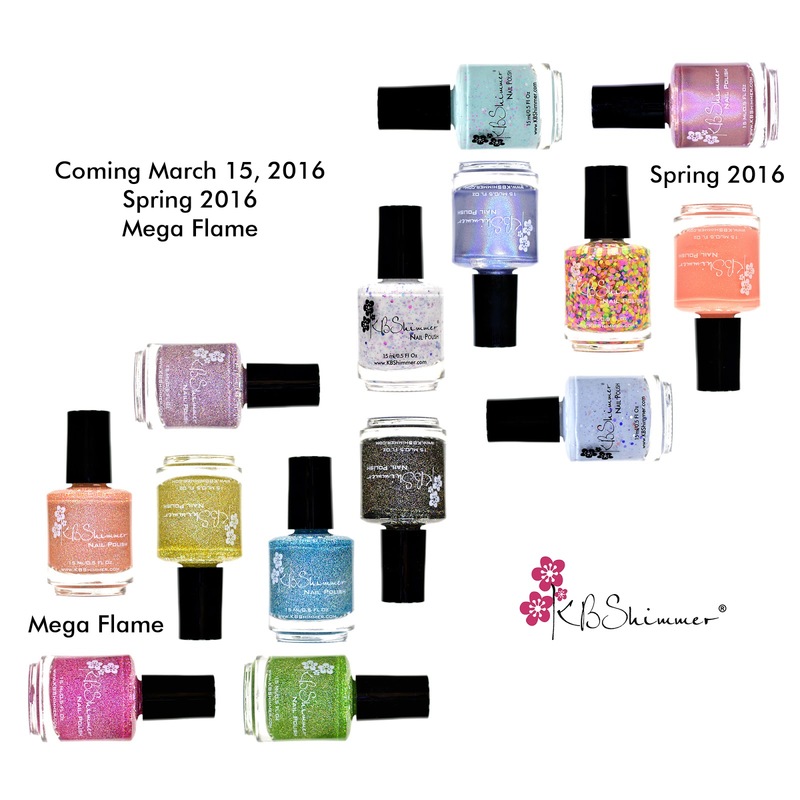 KBShimmer’s Spring 2016 Collection and Mega Flame Collection will retail for $9.25 each at KBShimmer.com, Amazon.com and select salons & retailers. For sales outside the U.S., visit www.harlowandco.org.